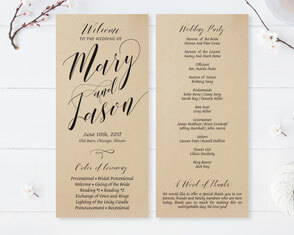 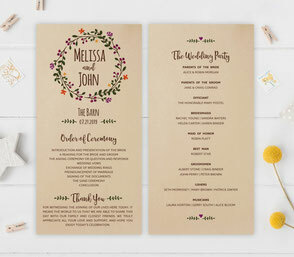 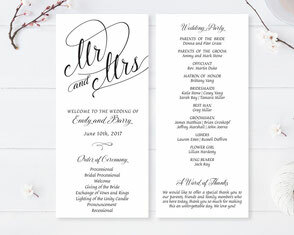 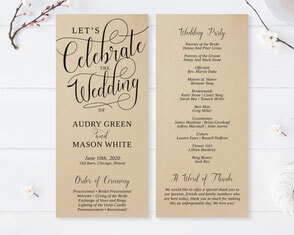 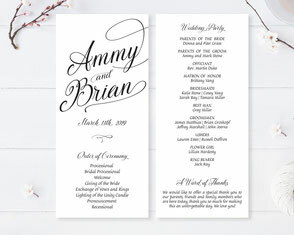 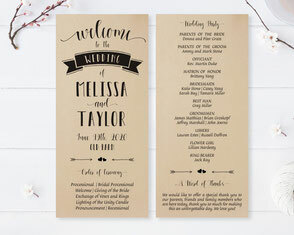 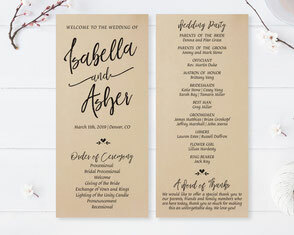 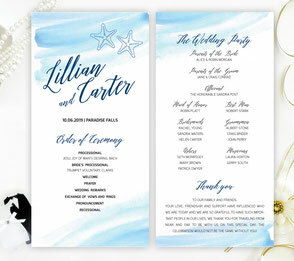 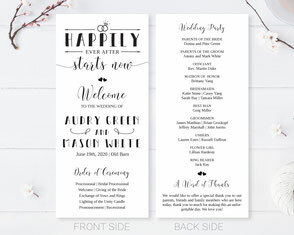 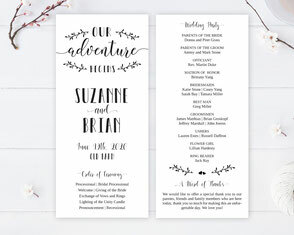 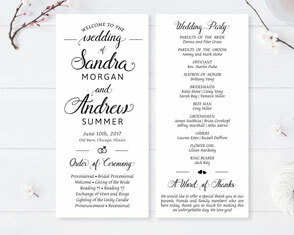 Our Wedding Ceremony Programs are not only an important prop for guests to be able to find their place at your happy wedding, but they are also beautifully unique with everything from classic to rustic style. 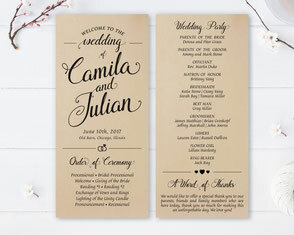 We believe that you will greatly benefit from our affordable wedding ceremony programs that come on the finest quality cardstock paper and with the exclusive design that you are hoping for. 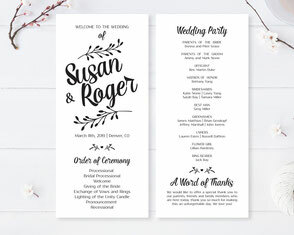 Inform your wedding guests of all the details regarding your special day with one of our Classic Wedding Ceremony Programs. 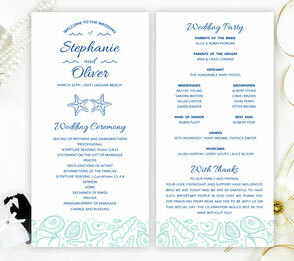 These Kraft Wedding Programs will display the order of your wedding ceremony, in a best elegant manner. 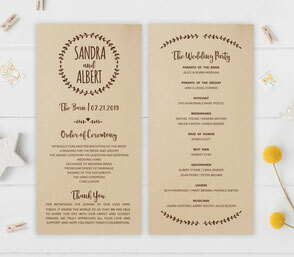 Capture the mood of your sophisticated wedding with one of our Traditional Wedding Programs printed on premium cardstock. 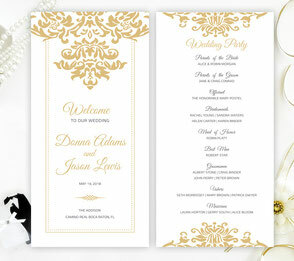 Dazzle your wedding guests when our Brown Wedding Ceremony Programs are passed out before your ceremony. 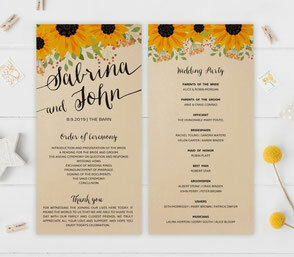 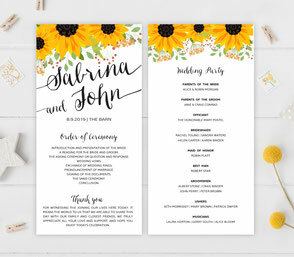 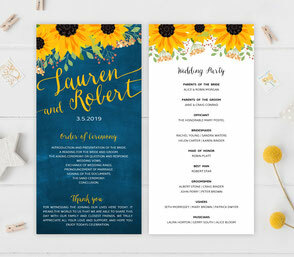 Let your guests know the order of your country style wedding with our Sunflower Wedding Ceremony Programs. 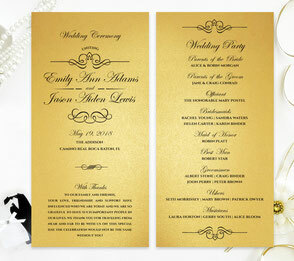 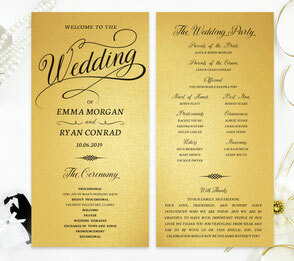 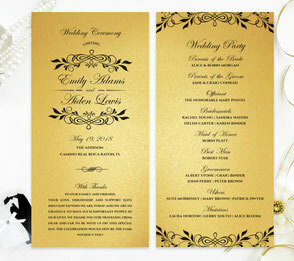 Lavishly and beautifully made, select one of our glimmering Gold Wedding Programs to inform and wow your guests. 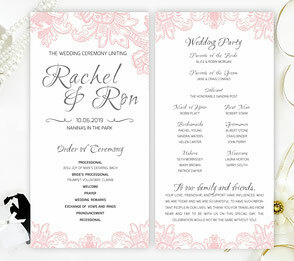 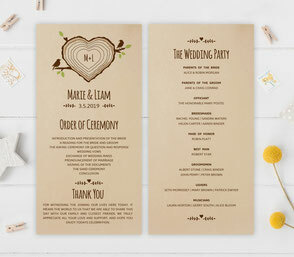 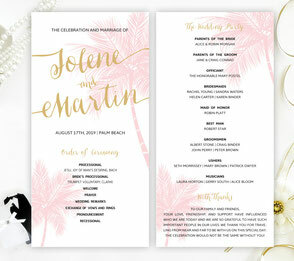 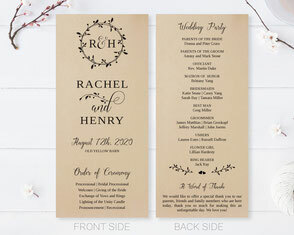 Complete your joyous wedding celebration with one of our Rustic Wedding Programs printed on kraft cardstock. 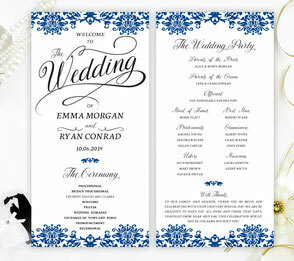 Complete the wedding of your dreams with one of our stunning Lace Wedding Ceremony Programs.